Hi! Welcome to our first Book Boyfriend post! If you’ve noticed, we’re big fans of A Court of Thorns and Roses so we’ll start off with none other than Death Incarnate, Night Triumphant, High Lord of the Night Court and Ultimate Bae, Rhysand! Rhys first appears as this frightening, black-clad, gorgeous male who can kill you with half a thought, but in truth, he’s actually a cinnamon roll. A deadly, fashionable, really hot and menacing cinnamon roll. Perhaps the best thing about Rhys is that he’s a staunch feminist. He believes in women making choices for their own lives, their bodies. All through out the books, you can see him rooting for the women in his life. He may have made a lot of difficult things in the course of his *really long* life, but it doesn’t seem to take away his humor and charm. Rhys is portrayed as this powerful force of nature in the books, but really, he’s just an oversized baby bat. Sigh, we love Rhys. That’s it for our first book boyfriend post. Stay tuned for more! 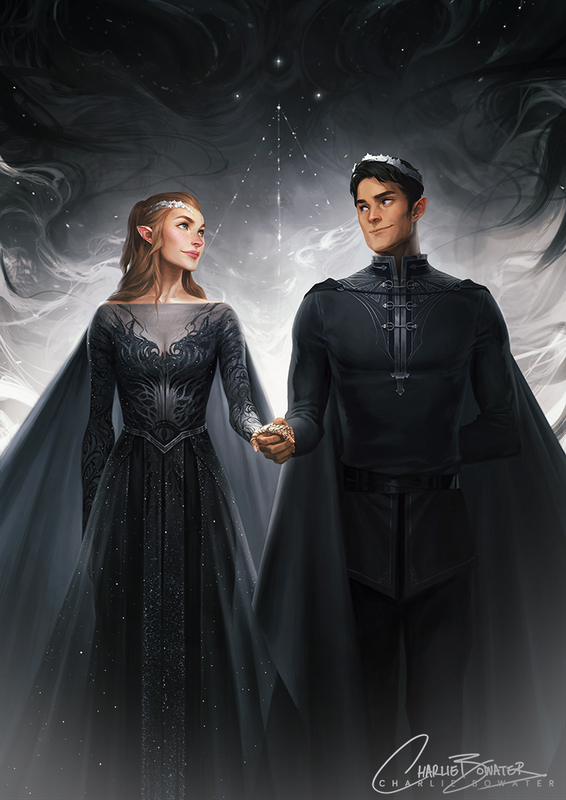 I LOVE Rhysand!!! I think he will be my go to book boyfriend (: I don’t know how he could be topped honestly!